Our homes are where we spend most of our time as this is a place of retreat where we can unwind and relax from the outside world, which is why it is vital to make it as comfortable as possible. With most homes consisting of glazing and contemporary homes using more and more glass design features, this can cause a difficult issue when combined with a 30+ degree heat. 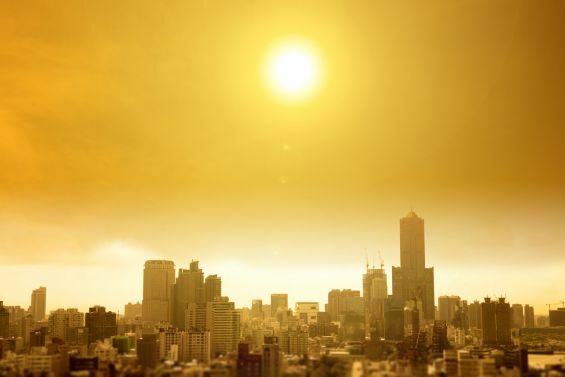 The glass can be vulnerable against the sun’s intense heat as this acts as a magnifier to the solar rays which increases the internal temperature, this then causes us to use fans and air conditioning systems to cool down the house and these are contributing factors to global warming. Cooling down homes like this is a short term solution which only increases your energy bills, our habits need to change and people need to look to long term methods to overcome their overheating issues. External Blinds are a long term investment that will not only solve the solar heat gain issues but they will also aid in the campaign to reduce global warming. These automated retractable blinds only use 1.6 amps of power which is only one fifth of the power used in a kettle. Internal blinds will help to reduce solar heat gain but not as effectively as External Window Blinds, as the internal blinds leave the glass exposed to the sun which is letting solar rays penetrate the glass. By applying shading systems on the exterior of vulnerable glazed areas you are able to create a protective layer that will deflect the sun’s rays which will result in a cool internal temperature. Watch our Shading Guide Video below to get a good understanding of how the sun effects your home. This season at Caribbean Blinds we saw an influx of enquiries with the sweltering heat as this highlighted the overheating problems in the clients’ homes. External Roof Blinds and External Roller Blinds were in high demand to help battle against the summer and restore homes back to a cool environment. With such a large number of orders meant our lead times increased during the height of season. We are predicted an increase in temperature next year so we will expect the demands for external blinds to increase. 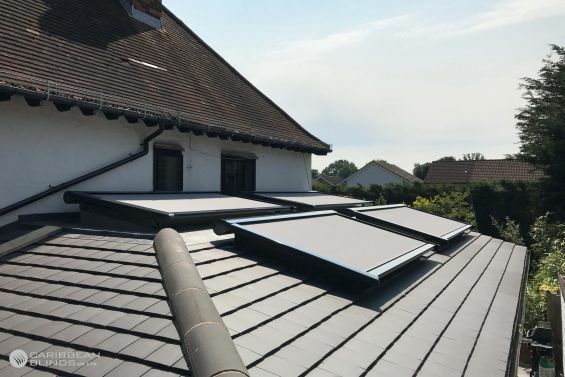 Don’t wait for the sun to expose the overheating issues next year, now that we are venturing into autumn with shorter lead times, now would be the ideal time to get your home ready for next year so that you can beat the heat. Call us today and speak to one of advisers to find out more information - 0344 800 1947 or you can leave your details using our quick enquiry form and we will send you a FREE detailed brochure highlighting the benefits of our Shading Solutions.